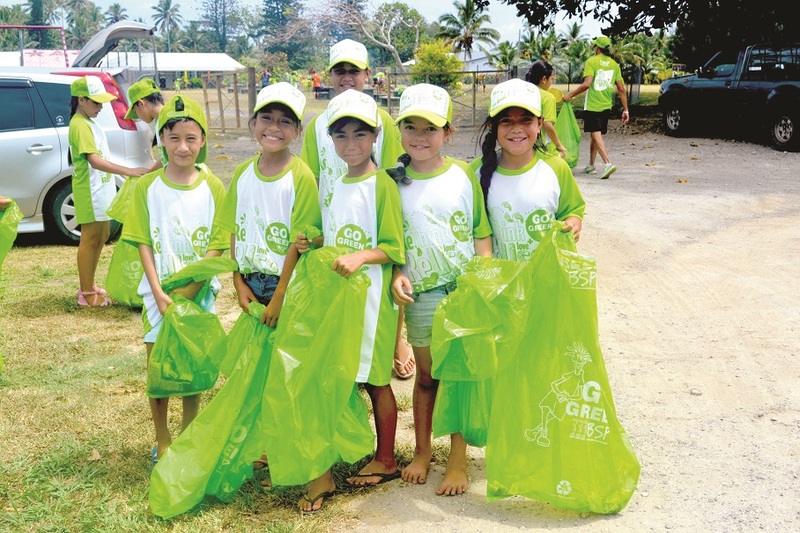 “This event is significant because, it educates youngsters and the community of the importance of respecting our environment"
Bank South Pacific(BSP) Limited will be reaching thousands of students in 260 schools across PNG and 60 schools in the Pacific for the Banks, annual Go Green School Clean-up Day on Friday 9th November 2018. BSP’s Annual Go Green School Clean Day is aimed at promoting the Go Green Message of ‘Recycle,Reuse, Respect’, in which it gathers students for a clean-up activity in and around the school and community. This year will see the participation of close to 50,000 students, who will be armed with gloves and garbage bags on the day to clean up. 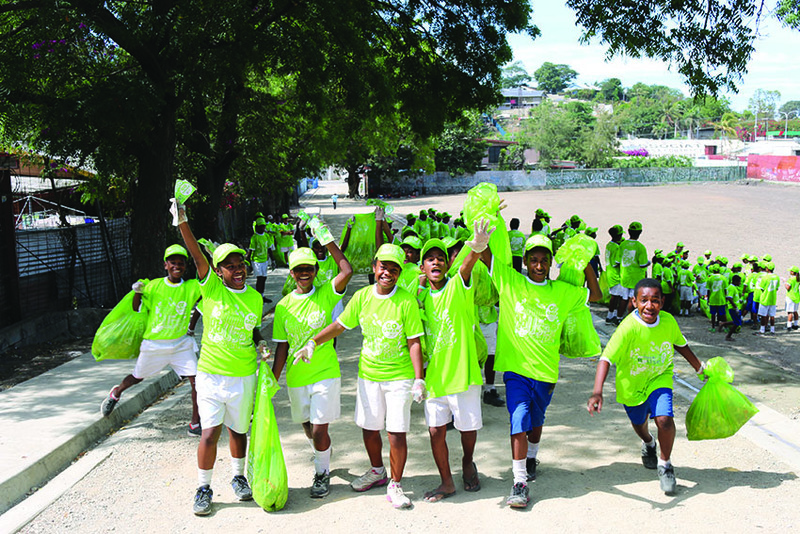 “BSP’s message is simple, Recycle items,like plastics, bottles and paper, items that can be used for another purpose should be fully utilised while, the Go Green Clean up educates youngsters to have respect for the environment, do not litter and always keep your community clean.” said BSP’s Go Green Clean Up Coordinator, Amelia Minnopu. The Go Green campaign is an annual regional campaign run by the bank to promote environmental responsibility in PNG and the Pacific. As a green bank, we are committed to educated and create a clean and green environment for everyone. The 2018 BSP Go Green Annual Clean will be launch at Kila kila Primary school. “This event is significant because, it educates youngsters and the community of the importance of respecting our environment, and in time builds a positive attitude for all students,” added Ms Minnopu. This year, the BSP Annual School Clean-up will be done through selected schools in all branches in PNG, Fiji, Solomon Islands, Tonga, Samoa, Cook Islands and Vanuatu. Participation for this annual event has increased from over 14,000 since inception in 2010 to close to 50,000 in 2018 with over a thousand schools reached since 2010.